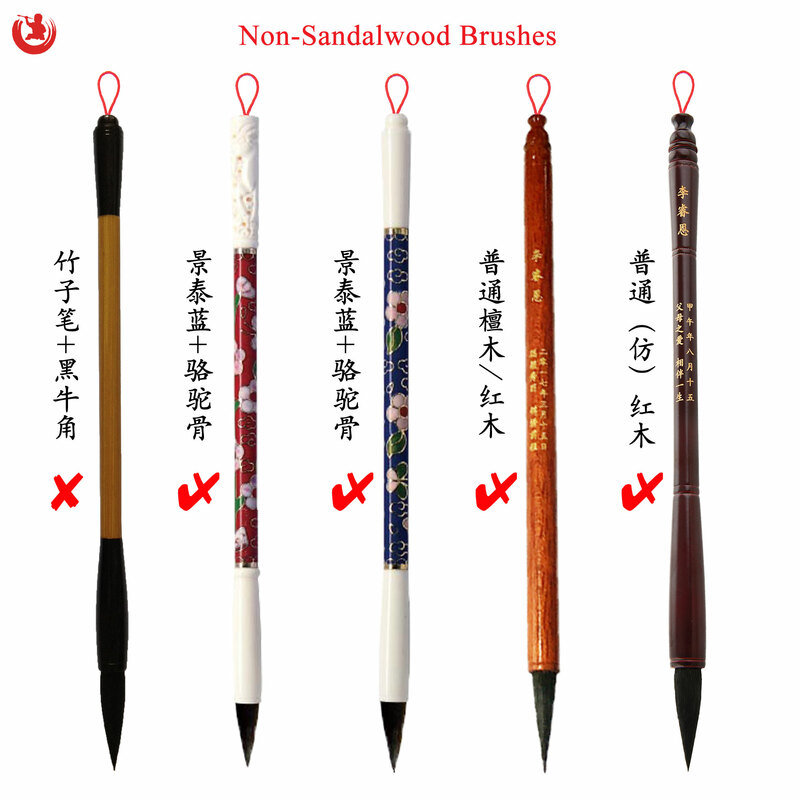 Taimaobi，is a kind of calligraphic brush made from baby’s hair. It is the best way to keep baby's precious first hair and turn it to be a souvenir. Taimaobi holder can be made by various materials, which will largely decilde the price of a taimaobi in return. Umbilical cord stamp is basically a stamp with baby name engraved on the bottom. However, in the body of stamp, there is cylinder tube to contain baby’s umbilical cord. (can also keep a bit hair). Due to sealing and isolation, umbilical cord won’t decay and will last long time. As such, it is the best way to keep baby’s precious umbilical cord. Crystal is totally transparent, no pores, no cloud inside. It has many colours but most popular colours are blue, pink, and golden. These crystal are man-made and the best is Swarovski crystal. 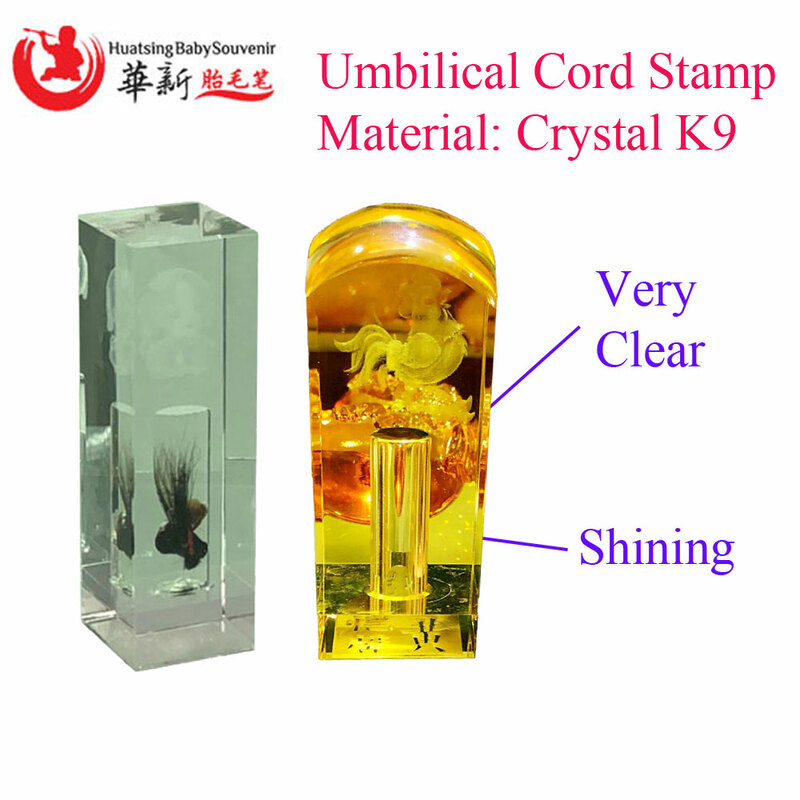 We Huatsing use K9 crystal, which light transmittance is above 1.5. Liuli is another popular material. It has air pores and colourful clouds inside. Different from crystal which is single colour, liuli can be mixed colours. Due to different color patterns, each liuli is unique. The price of both crystal and liuli depends largely on the size and design. Normally, bigger stamp price will be higher. 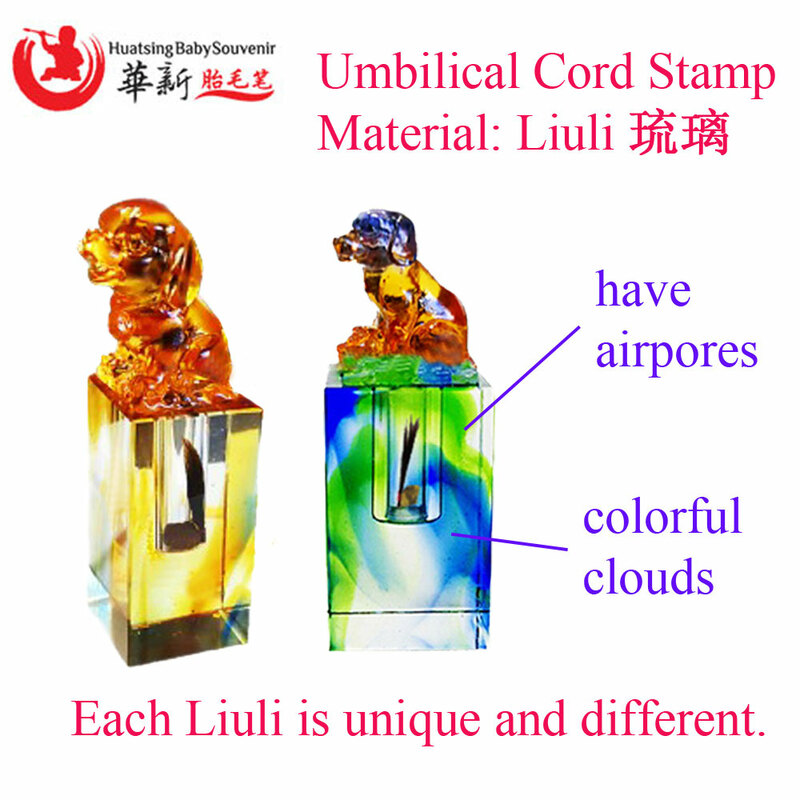 Some designs of liuli( such as limited sets from liuli gongfang琉璃工坊) could be expensive. 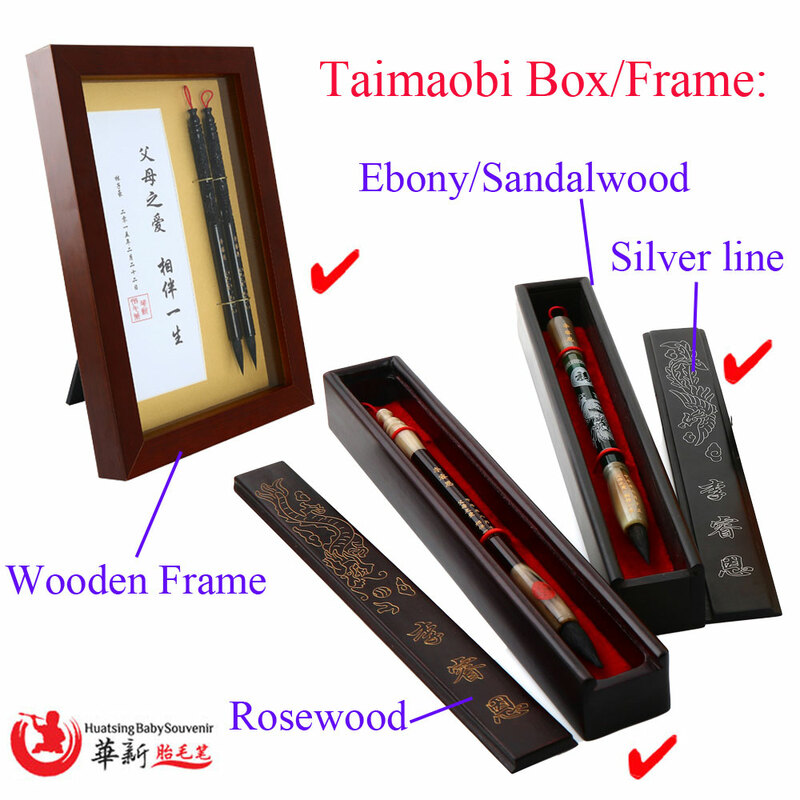 The packaging box/frame becomes more and more important in recently years, because most parents want to pass taimaobi & umbilical cord stamp as a gift to their babies when they grow up. The possible moments? 21 years old/ Graduation from university/ Marriage time or special occasions. However, if parents want box/frame are in good condition at those moments, they usually choose wooden lasting box/frame, which make souvenirs more beautiful and noble. 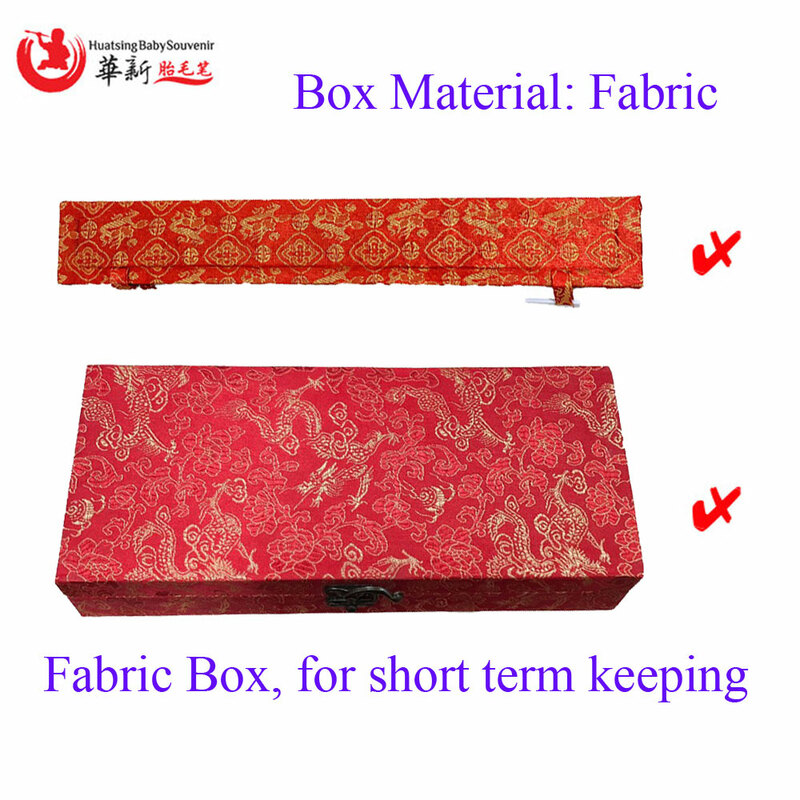 Fabric box is cheaper but vulnerable, can not last long time. Tips: How to compare in the marketplace? What gimmicks customers should avoid? Does a taimaobi company provide product price list and details? 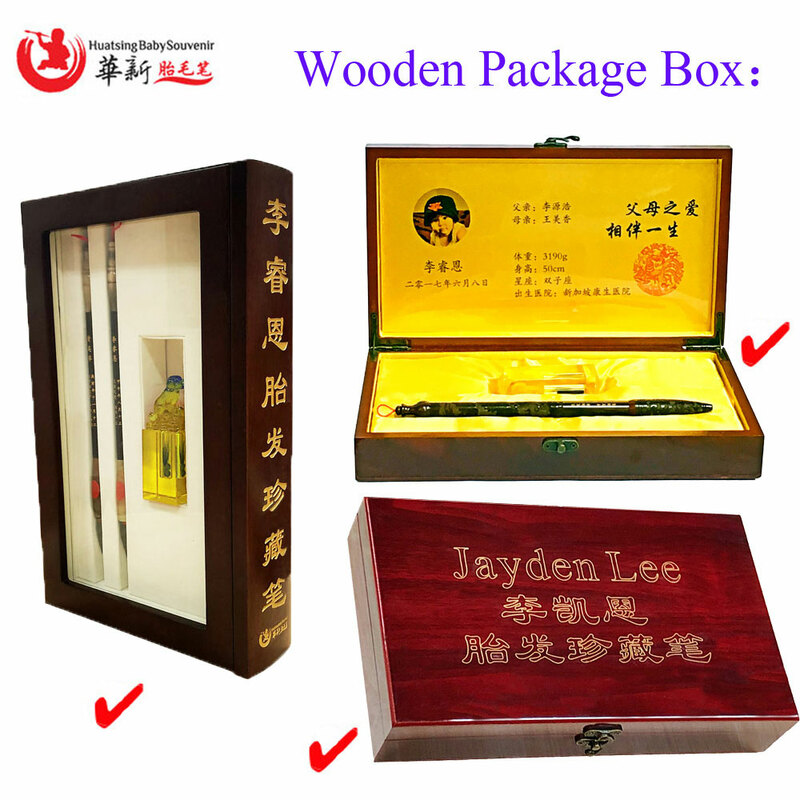 Especially lasting package: wild sandalwood + wooden book shape box/single box + liuli stamp? Vouchers. Is the voucher equals cash or has T & C？ most importantly, do you know the price and products details before using it? If a $100 product is set at $250, do you know it? If you hear taimaobi price is from $38 to $400, can you ask: what is $38 maobi? Made from bamboo, or normal wood? Have name engraving? How may designs with $38-100? (don’t say only 3 designs). How many designs within $100-$200? How many designs within 200-300? majority? Same as taimaobi, what is $38 stamp when hearing price from $38-388? Material? Has name engraved? How many designs for dog year? (don’t say there is only 4 designs ). 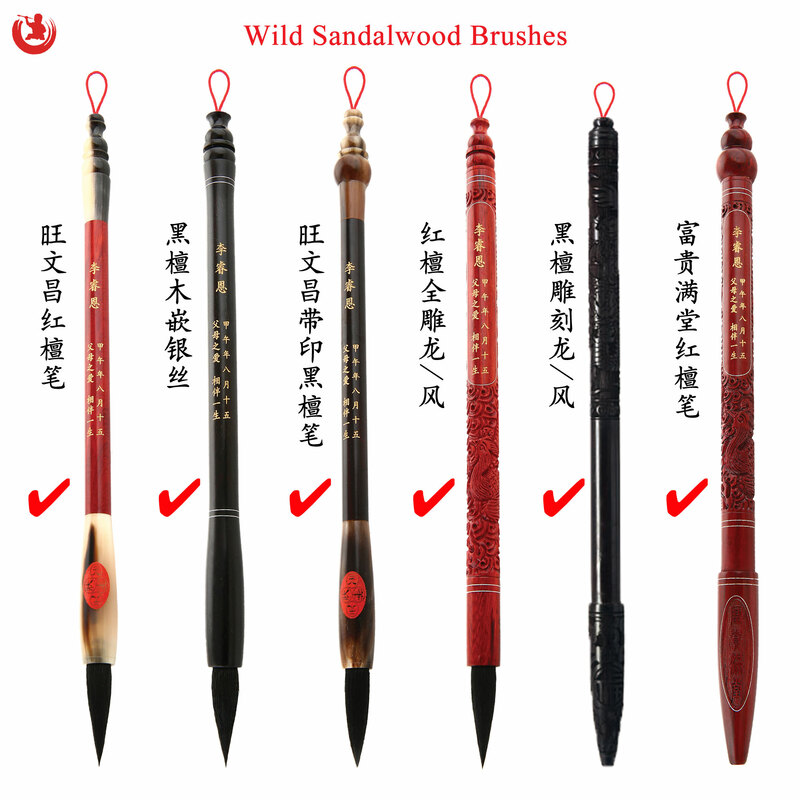 Lasting packages(e.g: Wild sandalwood brush + Liuli/crystal stamp + Wooden box/Frame) are most popular choices for parents. then you will know why some other company hides price or just shows fabric non-lasting package. It is a gimmick and make customers have illusion that price is not high. in reality the price for lasting package could be 40%-200% higher compared to same Huatsing Lasting packages. 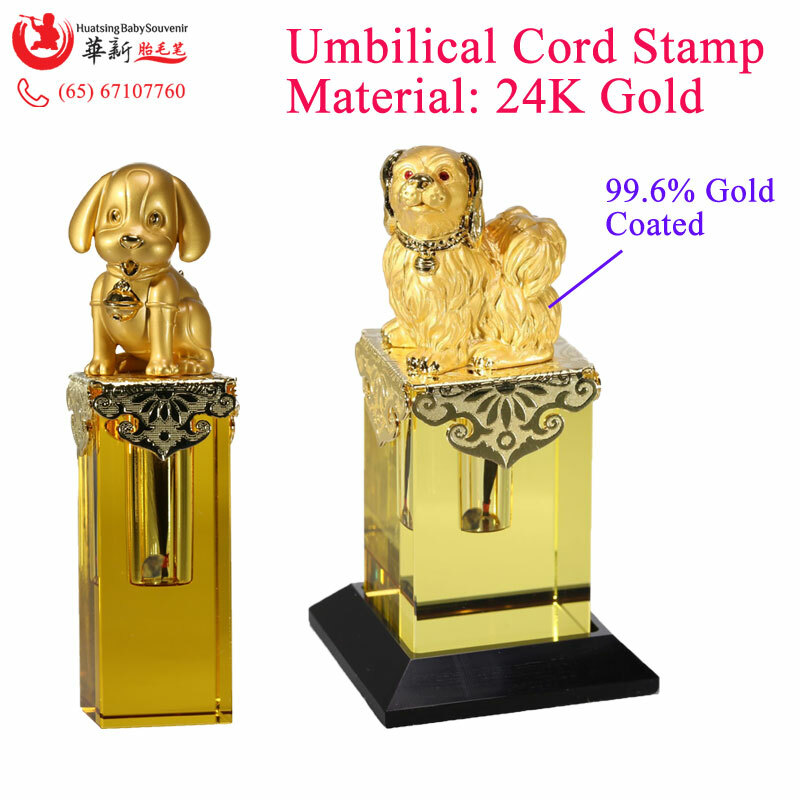 Huatsing Baby Souvenir Pte Ltd is very famous for making lifelong lasting Taimaobi & umbilical cord stamp products. Since it is founded in 2014 by a group of veterans in this industry, it have served more than 10,000 babies and achieved a 100% satisfactory rate. Customers are sincerely invited to visit our Woodlands Workshop. What you see is more than what you hear! You will know why Huatsing has so many customers and is the only company showing price on line!